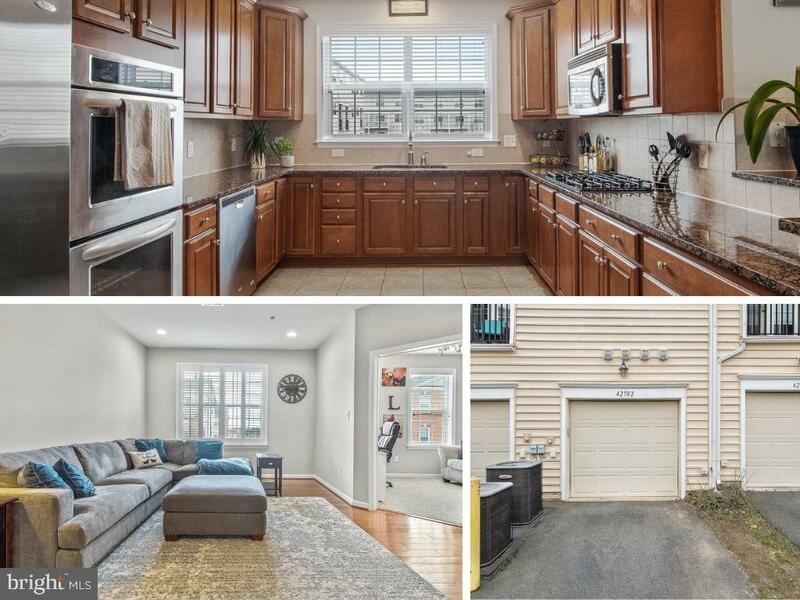 Welcome Home to your beautifully maintained Garage Townhome in the heart of Brambleton! Youll be impressed at every turn with the tasteful upgrades throughout. The main level features an expansive gourmet kitchen with stainless steel appliances, granite countertops, convenient breakfast nook and balcony. Next youll find spacious family room with custom plantation shutters and formal dining rooms, both with upgraded hardwood flooring. There is also a private office and powder room on the main level! Upstairs, awaits two enormous bedrooms that share a hall bath, a convenient laundry room, and an owners suite with dual closets and private balcony! The luxurious owners bathroom features a separate tub and shower, and granite countertops. Balconies have been recently renovated! Neutral colors throughout! HOA included internet, cable, & phone! The Residences at Brambleton feature amenities which include Pool, Sport Courts, Trails, Tot Lots and more! Schedule your visit today and see why everyone loves Brambleton!